I’ve been known to make declarations to the Universe at least a few times in my life. Now don’t go picturing me, head drawn toward the heavens shaking a clenched fist, crying out with passion, a hot tear trickling down my cheek. Come on now folks, it’s never anything that dramatic. Last year I made such a declaration when I completed my current novel perhaps believing it would stop me from tinkering with it once and for all. One of the hardest things for any writer is to stop fixing every little flaw in their manuscript and move onto something completely new. We go over our manuscripts with a fine toothcomb so many times we can drown ourselves with the sound of our own words. Honestly, are a few rearranged words really going to keep us from being published? I hardly believe that to be the case. Of course, writers go on the assumption that if our baby is ever accepted for publication we’ll be working with an editor to try and make it the very best book possible, so when we reach the point where we declare our novel complete it really isn’t. But that’s another post altogether. Most of you know I have another blog where I post photos from around the area “..way out here in Dalhousie.” You’ll see the link over on the right side. The posts are fairly simply– a picture and a quote and little more. I don’t consider myself to have any great skills when it comes to photography, but the blog is really just me playing around. 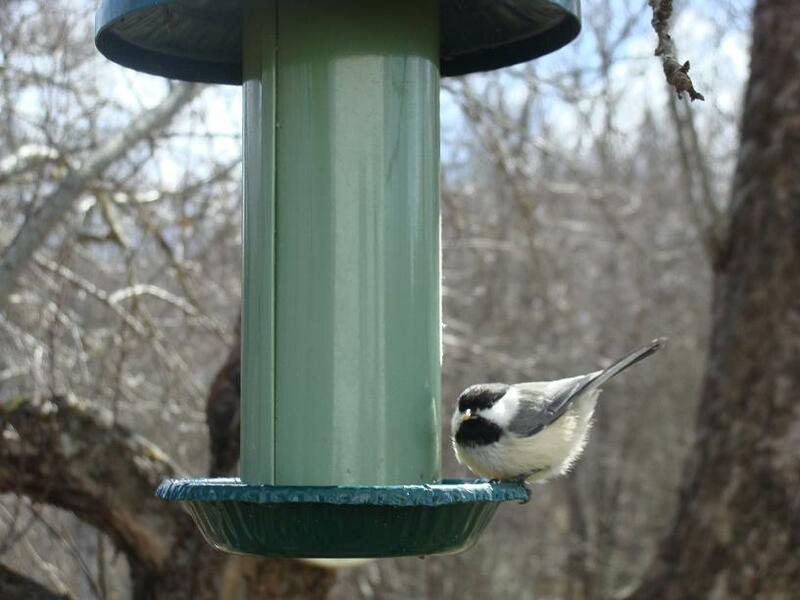 The evening I declared to the Universe that my novel was compete the very next thing I went on to do was post a picture of a chickadee I’d taken earlier in the day at a bird feeder on my Dalhousie blog. I needed a quote and randomly typed in bird quotes to see what sites Google would bring up. I found one and clicked the link. The very first quote on the list was this: Hold fast to your dreams because without them life is a broken winged bird that cannot fly.—Langston Hughes. I stopped cold. I knew I’d found my quote and I knew my book would be published. How? The title of my book, the one I had moments ago declared complete is — To Fly With a Broken Wing. Pretty cool I thought. Now with this very same novel about to be published I’m reminded of this moment even more. Now it’s difficult for me to ignore these serendipitous moments although I know many people pass them off with hardly a thought. (Coincidence, they mean nothing!) Well maybe so, but I like to think of them a signs that I’m kind of on the right track. If nothing else, they warm my heart for a time and make me smile. There absolutely nothing wrong with a heart-warming moment, nothing wrong in taking a few moments to say a simply thank you to God or the Universe (however you want to say it) for sending these serendipitous moments our way. Do you believe these serendipitous moments come to us for a reason or they are simply nice coincidences but mean nothing else? Have you experienced any serendipitous moments lately that you’d like to share?